Ah, the Hoosiers. Just when I thought I was out … they pull me back in. It’s not as though I had given up on the season in any sort of meaningful way. Actually, I’d given up on the season, in the way most people use the phrase (i.e. forgetting about any sort of end-term success prematurely) well before the season started. Whatever illusions I had about surprising a few people are long gone. Whatever hopes I had for a mid-Big Ten finish vanished somewhere in the Lipscomb box score. Saturday’s game showed something. 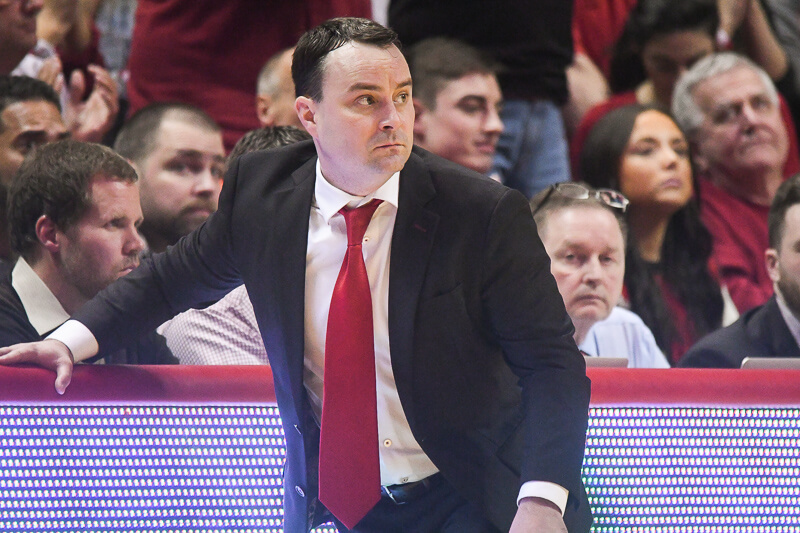 It showed that despite all of IU’s truly serious flaws, despite their disadvantages in talent, and despite their inexperience and sometimes strange behavior … they can compete. They can be competitive. Even if it’s against Iowa — a team that might feed on the bottom of the Big Ten this year too — it shows that if IU defends well, rebounds, and does all the very fundamental things that coaches try to instill before anything else, they can put in a respectable performance. Let’s not forget what happened here. Just days after losing to Lipscomb — Lipscomb! — IU went on the road as 14-point conference underdogs and had a chance to steal the game on the last play. I’ll take that. This year, please believe I’ll take that. 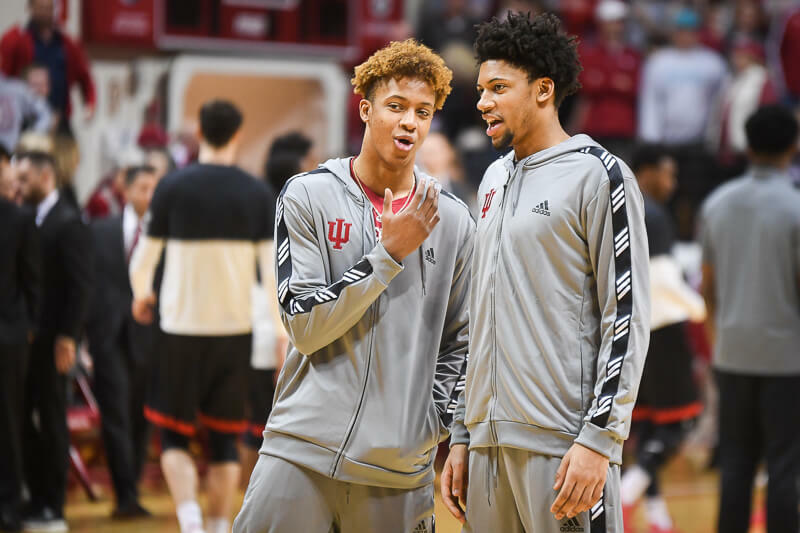 For most of the season, IU has relied on … well, now that I write that, they haven’t really relied on anything, because they haven’t really won anything. 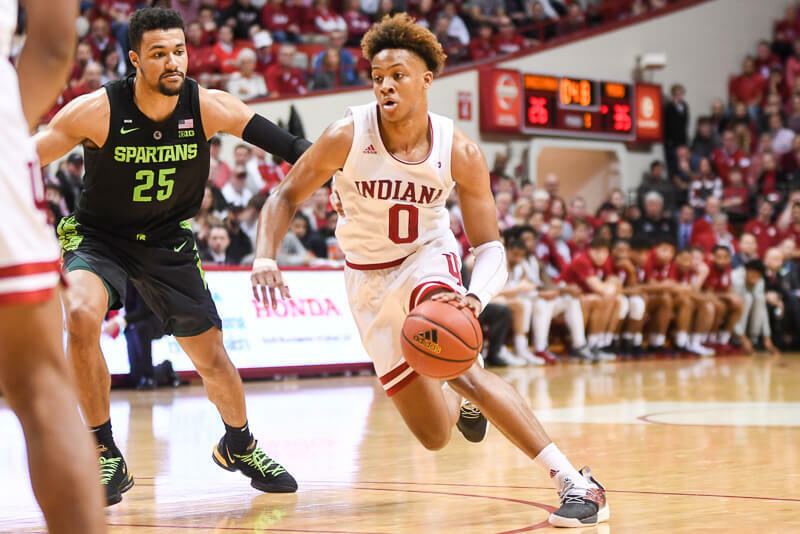 But for the sake of comparison, the Hoosiers have been reliant on Tom Pritchard rebounding a bunch on the offensive end, and on Devan Dumes hitting threes and various other ill-advised shots and scrapping together some transition buckets, and so on. Maybe that’s not the best description of what they do, but it’s a rough approximation. It’s in the ballpark. That is a balanced performance. Even Devan Dumes — who was erratic and wild and goofy all day — made a contribution by getting to the line. If he wasn’t so inefficient with the ball, he’d be even better. Anyway, the point is that, whether wittingly or not, the Hoosiers were offensively and defensively balanced yesterday. For a team with nothing like a star on the team, that’s a welcome development. That positivity aside, the Hoosiers still did the same bad things they always do. They turned the ball over, though only 11 times, which is serious progress. They committed a fatal number of fouls — 25, to be exact. And they did all the weird little things they always do — running at the hoop, losing the ball in transition, throwing up wild shots, missing layups, and so on. Dumes was the most noticeable problem in these regards, but not the only one, and at the end of the game Daniel Moore sealed the deal with a really poor play. Under no circumstance should Moore find himself dribbling to the corner on that last play, and under no circumstance should he pass the ball with anything less than 100 percent certainty it would be received by a fellow Hoosier. And that, as they say, was that. Anyway, that happens, right? This is the team they are. I’m willing to accept the positives from Saturday’s game, and ignore the negatives. It’s progress, at the very least. Like I said: I’ll take it. Really? Only 11 TOs is not a positive? UNC averages 15/game and 11 is a negative? This team played a good game on Saturday, TOs, rebounds, defense. Yes, a couple of freshman mistakes may have cost them the game. That's to be expected this year. But come on, 11 TOs is a negative? I may start reading only the discussion. He called it serious progress, no?